Can we really find clues about what’s coming next in our lives? That’s the question asked by prolific Eau Claire author B.J. 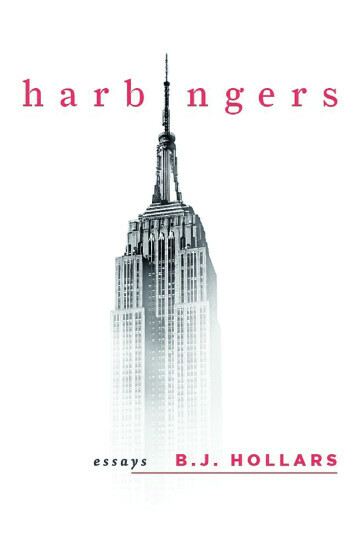 Hollars in his latest work, Harbingers, an essay collection published by Bull City Press. In three essays – focused on civil rights activist Medgar Evers, atomic scientist J. Robert Oppenheimer, and his own life – Hollars probes the certainty of uncertainty. The chapbook follows on the heels of The Road South: Personal Stories of the Freedom Riders, which recently helped Hollars win the Truman Capote Prize for Alabama’s Distinguished Writer of Literary Non-Fiction or the Short Story. The UW-Eau Claire professor of English will collect that honor in April; in the meantime, you can help celebrate the launch of Harbingers at 6pm Thursday, Feb. 21, at the L.E. Phillips Memorial Public Library in Eau Claire. Hollars will read from and sell copies of his new book, and the tea leaves indicate it will be an engaging literary event.